Visuals help define your small business on the Internet. Small business images are the centerpiece of visuals. Video is gaining popularity in promoting small businesses but images will remain prominent. Whether people experience your brand on social media, your website, or anywhere else online, images always stand out the most. The Internet is a visual place where things stand out based primarily on images. When people are scrolling down their Facebook feed, visuals take priority where text is secondary. Your small business images can help spread your brand and reach new customers in a way that works for your customers. Images play a different part in each part of your small business brand online. You should have small business images that focus on drawing in attention in each place your brand is online. As people scroll through social media, there’s a lot of monotony out there even in images. Text doesn’t stand out nearly as much as images do. Even when you share a link, links that pull information (including an image) from your website stand out more than just a link. This guide to creating the perfect social media post will help you also include the perfect size image for each social network. If you have the resources (and content that fits) to take your social media visuals beyond images, people also engage well with videos. As you can see in the above image, Tweets with images fair a lot better on Twitter than Tweets without. That means you should make it an aim to post every message with an image. If you leave an image off your social media posts then you’re missing the opportunity to reach more people. Your posts will get looked over completely which wastes your time. Content without images on Facebook doesn’t fare well, either. Visuals increase your engagement rate significantly. Not just any visuals boost your content engagement rate, though. It must be unique and eye-catching. That means you need to make something clever, interesting, and piqué viewers interest in a split second. Social media is one of the most visual platforms online for small business images to shine. There are other platforms that will help grow your brand presence by gaining attention, though. When people come to your small business website to see what you’re all about, images are the first thing that jumps out at them. Large visuals can conjure up emotion to visitors immediately and without verbal communication. That’s great because people don’t read on the internet. Nobody reads on the Internet so your job is to communicate with visitors to your website visually. Visitors may read a few words or possibly if you’re lucky headings of some sections. Beyond that, reading is minimal. 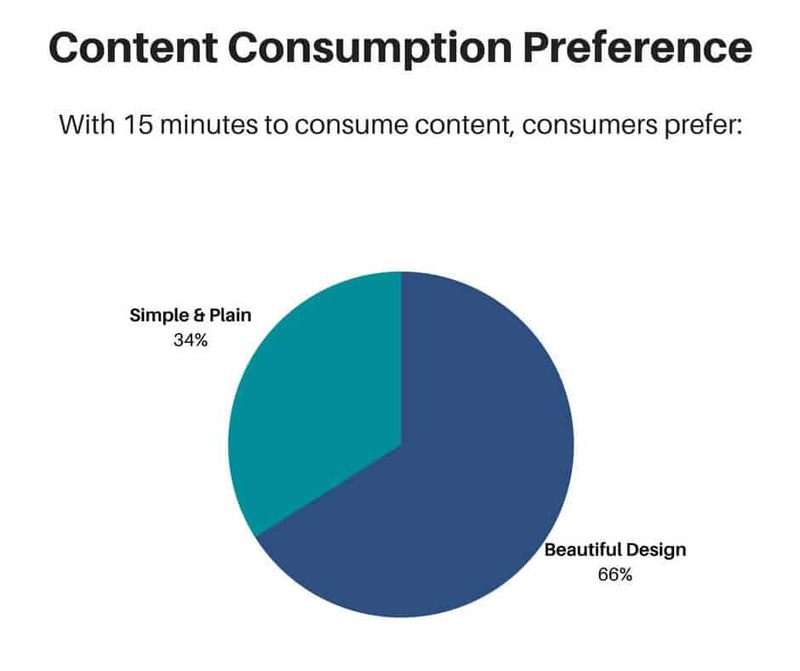 Consumers prefer consuming content that’s beautifully designed more than simple and plain content. Good images play an important part in that. Images help define your brand because they are what’s seen first on your website. They’re the most prominent and the most paid attention to. 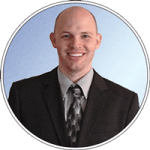 That also continues into your blog content which is usually how people first get to your website. Creating amazing content for your small business blog is essential to ranking in search engines and to get people to see what your small business is all about. Breaking up the monotony of text on blog posts with images is an easy way to make blog content more interesting. If there’s anything that can be represented with images, do it. I was able to throw in a few helpful graphs above that made the post more interesting and illustrated the content of the text better. The average #1 ranked article on Google has 9 images according to the “how to create content 10x better than competitors” infographic. Not only that but high quality images that are meaningful to the content get shared more. When your content and images get shared more you’ll also be seen by more eyeballs. Even a simple photo of your business or the people you work with can have a huge impact on creating lasting impressions on your customers. Small business images aren’t made up of just stock photos or created graphics. 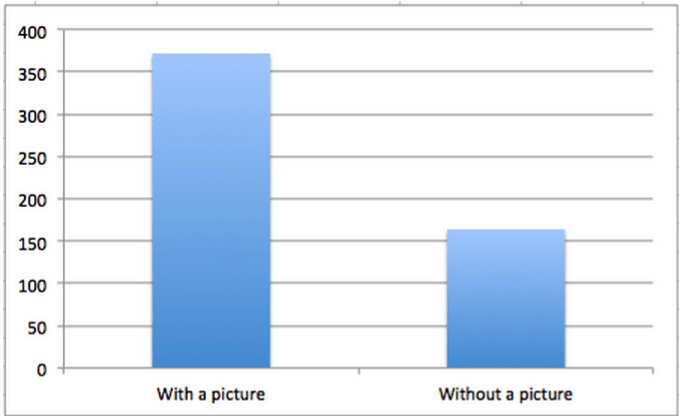 Real photos have a real impact. Almost every directory your business is listed in gives you the opportunity to show your work or the inside of your business. Yelp lets you post several images to your gallery and encourages you to show people the inside of your business. Google Business has a special section dedicated just for your team. When people are looking for your type of business, the more photos you have of your business and employees, the more you’ll stand out. Not only will photos makes you stand out but they’ll give you a personal touch that builds trust with new customers. Trust is easier to build if you can be seen than if you’re a faceless business with a name that’s impersonal. Consumers love doing business locally and there’s nothing more local than a small business showing who they are. Before you even meet a customer they’ll feel like they know you. 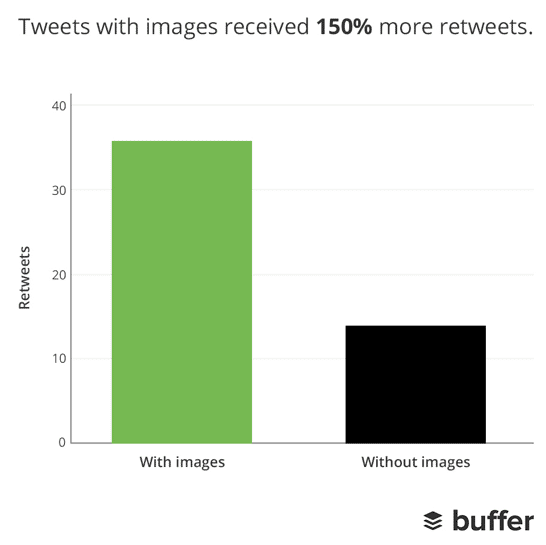 All these stats and evidence that images are important to your online brand are great. The problem is, you’re probably not a professional graphic designer. Hiring a professional graphic designer for every need isn’t cheap, either, so that’s not an option. You don’t have to be a graphic designer for most images you create, though. Your website is important to have nice images and it’s not a bad idea to hire a professional photographer for photos of your business, either. Those two have limited needs, though. You’ll create your website, get photos taken, and you won’t need to do that again for a long time. Blog posts and social media posts aren’t different, though. Every blog post you make will need one or more images. Then there’s social media which requires several new images for each campaign. There are a lot of images involved in social media. Luckily there are ways (cheap ways) you can do it yourself. Combining a free source for images with free online graphic editing software makes your job cheap and easy. My favorite tool to create easy images for social media is Canva. It’s simple to use and the basic version is free. Canva even has better features you can get with a reasonable $10/month subscription too. There are a lot of free images included in Canva but there’s an even better source. Canva allows you to upload any image you’d like. That means you can bring in images from any source. That means you can use my recommended one source you need for free stock photos. With these two tools in your tool belt, you’re set to create great small business images. You’ll have a strong brand on social media and in your blog content with strong images.